Relating to the coin show, we've included nearby local, state and national coin clubs' information along with a few numismatic and metals markets web resources. Join coin clubs and attend their meetings to share and gain knowledge of numismatics and related collectibles. From their web site: We are collectors of coins, paper money, tokens, and medals. We are always looking for young beginning collectors and anyone wanting to learn more about the hobby and have fun doing it. Every meeting features educational programs, coin auctions, refreshments, and fellowship with other collectors. Also, the club offers a young numismatists program, free advice on coin grading and authenticity, as well as an award-winning newsletter. 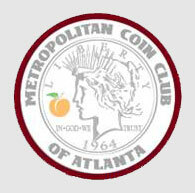 Click on the emblem at the left or Metropolitan Coin Club of Atlanta to visit their web site. 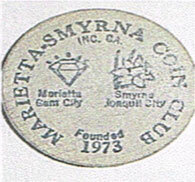 The Marietta/Smyrna Coin Club meets once a month at the Smyrna Community Center from 6:30 to 10:00 pm. The Smyrna Community Center is located at 200 Village Green Circle just to the left of northbound Atlanta Road in the heart of Smyrna. 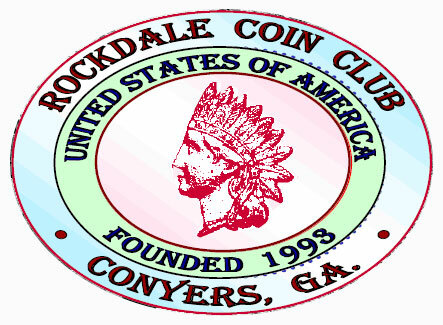 For their meeting schedule and their contact information, click on the image to the left or 2016 Marietta-Smyrna coin club flyer to open a pdf to view or print their details. Note: Do not have a recent flyer. Contact the club for more info. A.To encourage and promote the science of numismatics through discussion, investigation and study of coins, currency, tokens, medals and financial systems of the world. B.To encourage and assist new collectors. C.To foster the interest of youth in the subject. D.To acquire and disperse numismatic knowledge in the form of books and other publications. E.To cultivate fraternal relations among its members and to demonstrate the fact that numismatics is an educational, serious and interesting pursuit. 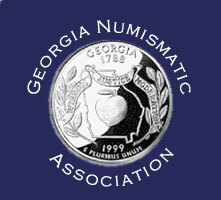 "We are a not-for-profit numismatic club located in scenic Augusta, Georgia, dedicated to disseminating knowledge about coin and currency collecting, the history of coins, and related topics. "ACC also promotes fellowship among the club members, and sponsors regional coin shows, dinners and events where dealers and the public can buy, sell and trade coins, bills, tokens, and related numismatic items. We strongly encourage and support the participation of children, or Young Numismatists, in all our activities. "ACC has a deep-rooted tradition of serving our community and donating funds, books and other items to libraries and charitable organizations. We look forward to taking on new members to help our organization grow." "The South Carolina Numismatic Association is dedicated to the promotion and the advancement of the knowledge of numismatics; to assist in bringing about better cooperation between all persons interested in the science; to promote greater popular interest in the field of numismatics in the state covered by such an organization of coin collectors and interested parties through closer relations with one another, and to promote friendly feeling for one another through social activities and the interchange of ideas and discussions of mutual interest." 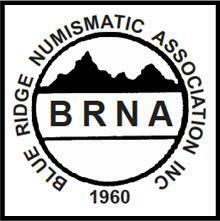 In 1960, a few people gathered to organize a new regional coin club which became the Blue Ridge Numismatic Association. Like most numismatic organizations, the newly formed organization progressed through good times and tough times. However, the BRNA always had a goal of looking forward and working toward the future in numismatics. During the early years the show traveled to different locations to benefit the growing number of numismatists in the area. The locations were cities such as Greenville and Spartanburg, SC; Charlotte, NC; Chattanooga, TN and Dalton, GA with the show dates scheduled around the ANA World's Fair of Money in August. Eventually, the BRNA Show became "THE ORIGINAL AND LARGEST COIN SHOW' to be held in Dalton, Georgia. The objectives of this organization are to promote, extend and protect numismatic activity throughout the state, and to foster and encourage the study of numismatics in all its forms and branches; to assist in bringing about better cooperation between all persons interested in numismatics in the state. 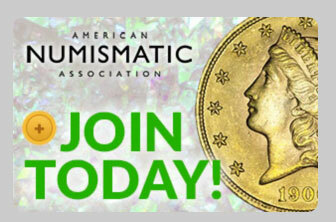 The American Numismatic Association is a nonprofit educational organization dedicated to educating and encouraging people to study and collect money and related items. With nearly 33,000 members, the Association serves the academic community, collectors and the general public with an interest in numismatics. The ANA helps all people discover and explore the world of money through its vast array of programs including its education and outreach, museum, library, publications, conventions and seminars. Numismaster.com offers a variety of helpful online resources for numismatists in addition to their print magazines and books. Sometimes it can be fun to meet with people who share your interests in numismatics - collecting and investing. Or, perhaps meetings are not feasible, but you want to take advantage of the shared knowledge of like-minded people. Take at look at the variety of Kitco charts. They maintain up to the minute charts for the various metals. In addition, they provide historical information. You can also visit the Kitco main page for a variety of information including current articles about the various metals and their values in the marketplace. Another Kitco site shows other commodity metals, those used in coins and those important to other manufacturing: KitcoMetals. You can find current metal prices for copper, zinc and nickel and articles about the mining and development of these metals. This is a relatively new coin club, just established last year. 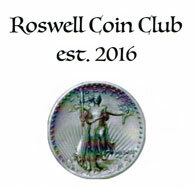 Click on the icon at the left or Roswell Coin Club to find who and how to contact the club. Yes, that's an extra step, however putting the details on the page would allow easy access to the spammers. We wish the club success in building their attendance and furthering people's interest in the study of coins and other types of money.